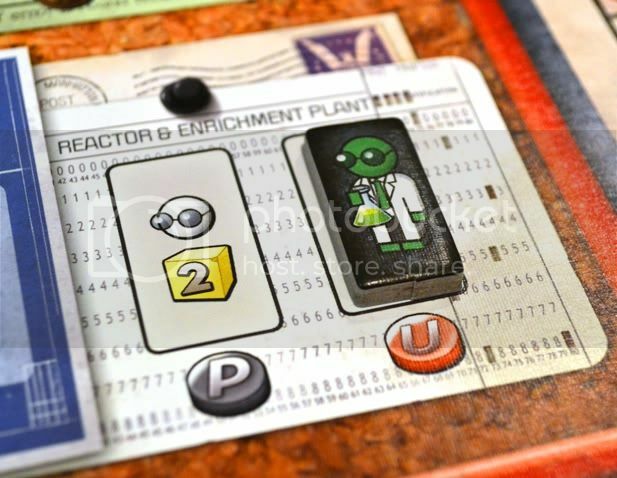 I heard about The Manhattan Project when it was still in development and then during it’s Kickstarter campaign, and while I loved the theme and artwork, I was pretty hesitant to pull the trigger on a heavy worker-placement game from a newish game company without much of a track record for heavier games. Boy, was that a mistake! 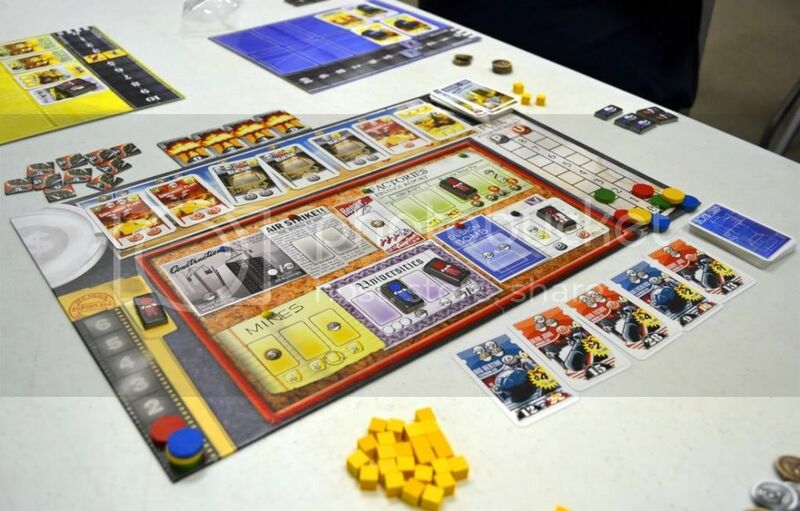 The Manhattan Project is a worker-placement game, but it brings a very different approach to the mechanic, and I haven’t really seen anything like it before. 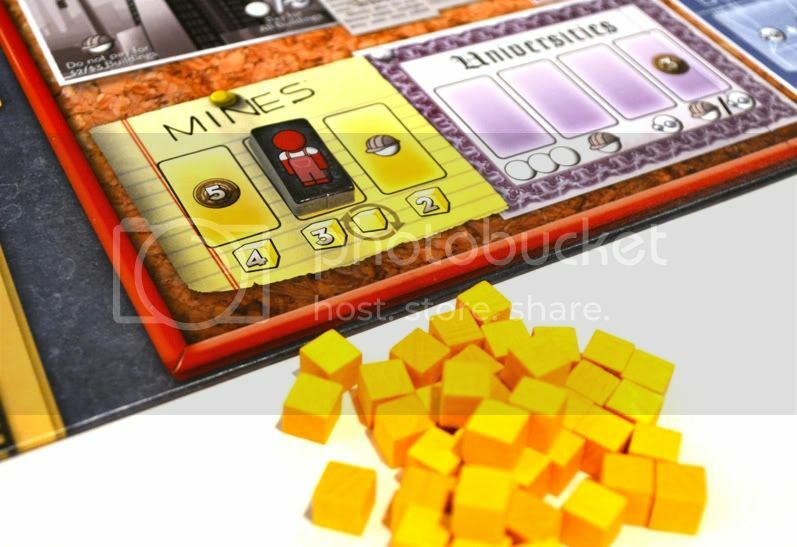 The goal of the game (and really, the only way to score points at all) is to develop and build atomic bombs, which is done through placing workers both on the central board and individual buildings (once you build them, anyway) to do all sorts of resource-manage-y things. Workers actually come in three varieties: Laborers, Engineers, and Scientists. As you might expect, this is because certain spaces and buildings require particular types or combinations of workers to use them. 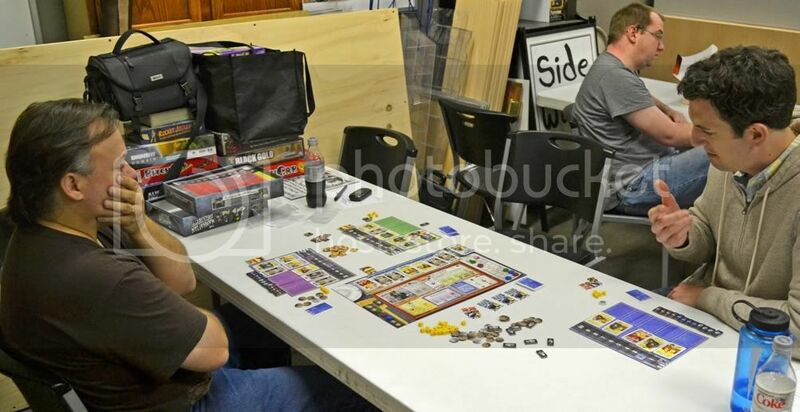 You actually start the game with just 4 Laborers, however, and the other types must be earned through play. On any one turn, a player has to decide between either placing workers or retrieving workers. 2) place as many workers as they can (and want to) into their own buildings. • Construction – At the top of the central board, there’s a sliding market of building cards. Depending on the position of its card (increasing from left to right), each building costs a certain amount of money to construct. 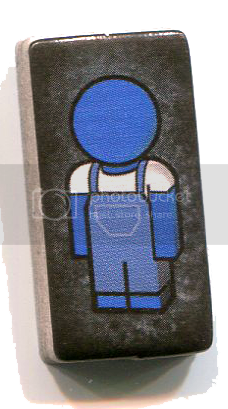 So, when you place a worker into the Construction space on the central board (which is always available, even if other workers are already there), you pay for the building card you want and place it onto your own player board. And generally, you’re the only person who can use your own buildings. • Universities – Let you recruit more workers into your workforce. 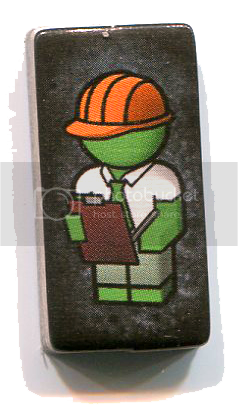 Each player has a basic limit of 4 workers of each type in their own color, but there’s also a pool of gray “contract” workers that you can recruit to temporarily go above this limit. • Mines – Give a certain amount of raw uranium (“yellow cake”) depending on the number and type of workers required to place on them. • Enrichment Facilities/Reactors – Let you turn Yellow Cake into Enriched Uranium (Enrichment Facilities, which often also require money) or Yellow Cake/Enriched Uranium into Plutonium (Reactors). • Factories – Gives you money, fighters, and/or bombers. • Air Strike – When you place a worker here, you launch air strikes against one or more other players. You can use your own fighters to destroy either another player’s fighters or bombers. And then, if they don’t have any fighters left, you can also spend bombers to deal damage to their buildings, rendering them useless until the damage is repaired (which is another space on the main board). 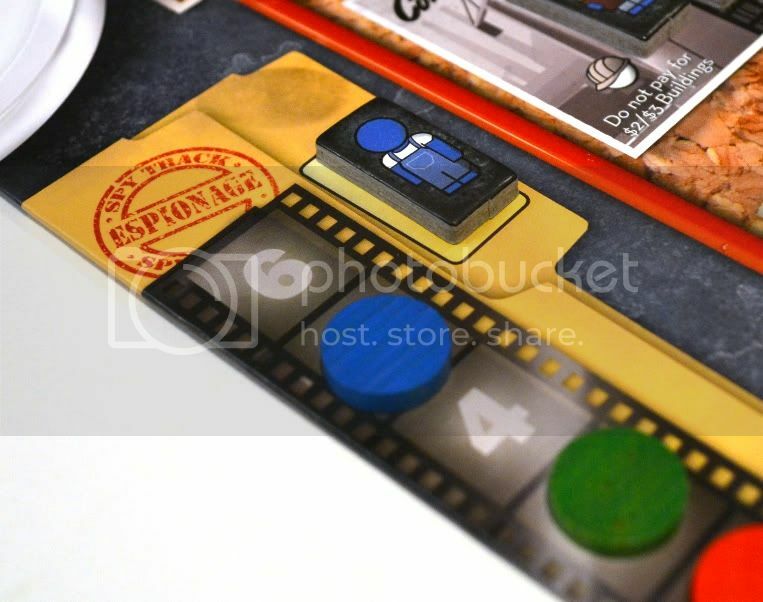 • Espionage – Choosing this space first advances the player one space on the espionage track (which runs from 1 to 6). 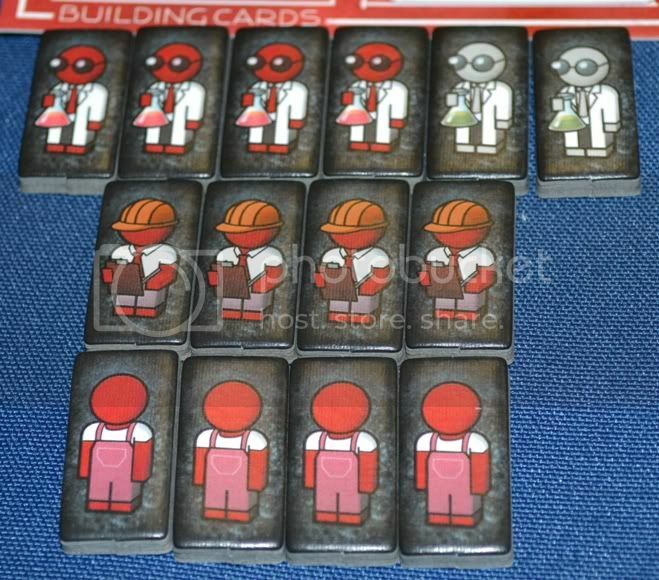 Then, during the rest of that turn, they may place workers on a number of available buildings owned by other players equal to their position on the espionage track. 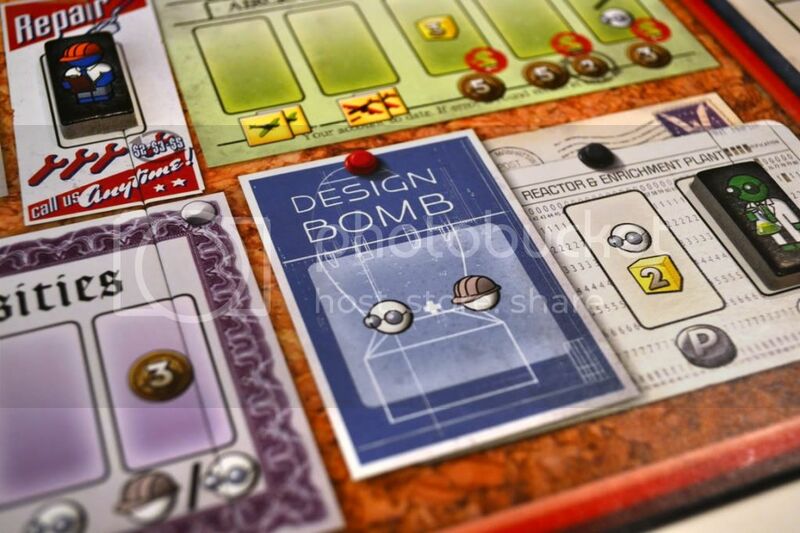 • Design Bombs – A number of bomb cards (1 more than the number of players) are always dealt faceup beside the board. 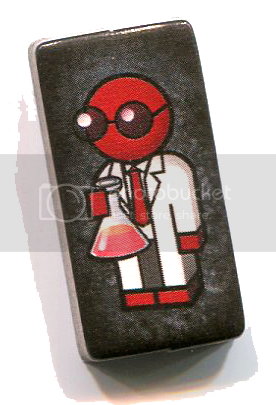 When someone chooses the Design Bomb action, they pick up these cards and choose one to keep. The cards are then passed around the table and every player gets to draft one to keep, with the last card also going to the person who performed the action. 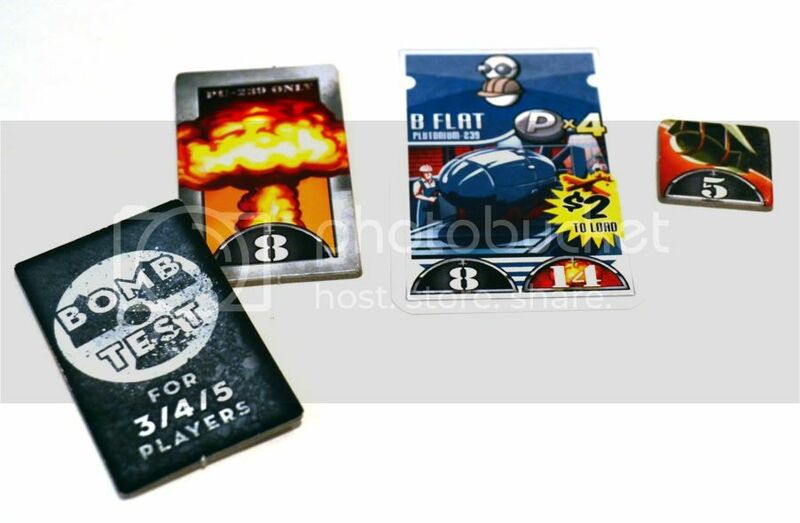 These cards are the bombs which players can then construct as a bomb action to score points. One general rule about placing workers in The Manhattan Project is that you get the effect of that space immediately when you place the worker. 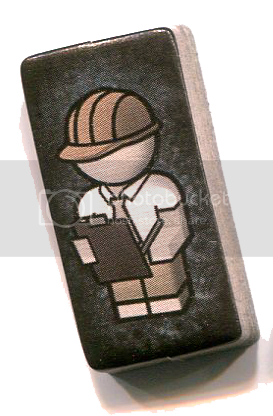 If you use a Laborer to construct a building, you can then place another worker in that building right afterwards to get its effect as well. If you use a University to make an Engineer, you can then use the Engineer on the same turn to activate another building. It’s pretty cool, and really allows players to think carefully about the order in which they do things to set up chains of effects. 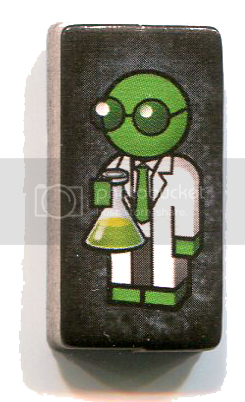 1) Build Bombs – Much like a building card, every bomb card requires both a certain combination of Engineers and/or Scientists and the expenditure of some amount of either Enriched Uranium or Plutonium. By spending/allocating these resources, the player can build the bomb, placing it down on the table, where it is worth the victory points listed on it. 2) Test Bombs – Uranium and Plutonium bombs are actually a little different, though. Plutonium bombs are more complicated, so they have two VP values listed on them (rather than the singe VP value on Uranium bombs). 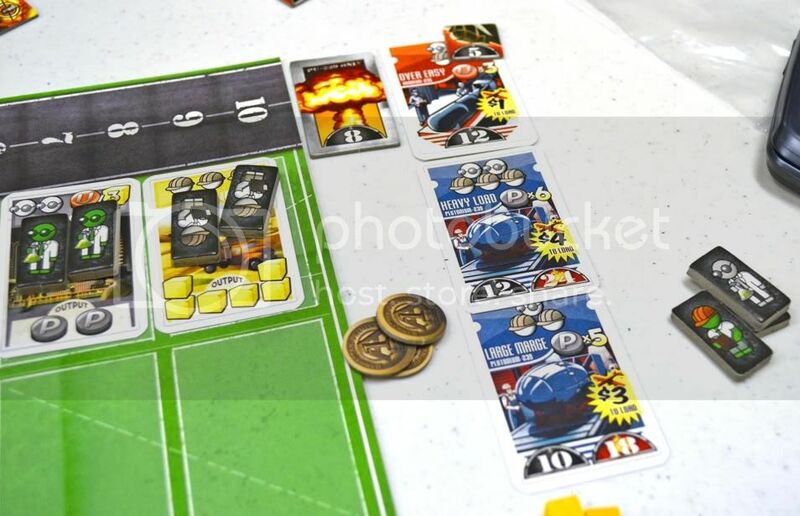 At baseline, they are worth the lower value of points, but once during the game, a player can choose to discard one of his constructed Plutonium bombs to perform an Implosion Test. 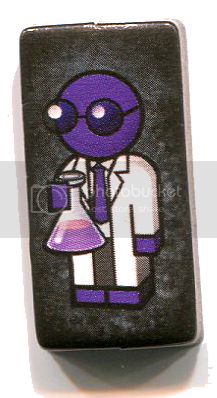 The test itself is usually worth some points (0-8), but the big advantage is that every other Plutonium bomb they construct for the rest of the game is worth its larger VP value instead. 3) Load Bombs – Every bomb also has a “load” cost on it. If you pay this amount of money and use up a bomber, you can make the bomb worth an additional 5 points. The game continues until one player builds enough bombs and/or loads them to score the indicated number of points based on the number of players (70 points for 2, 60 for 3, 50 for 4, or 45 for 5). 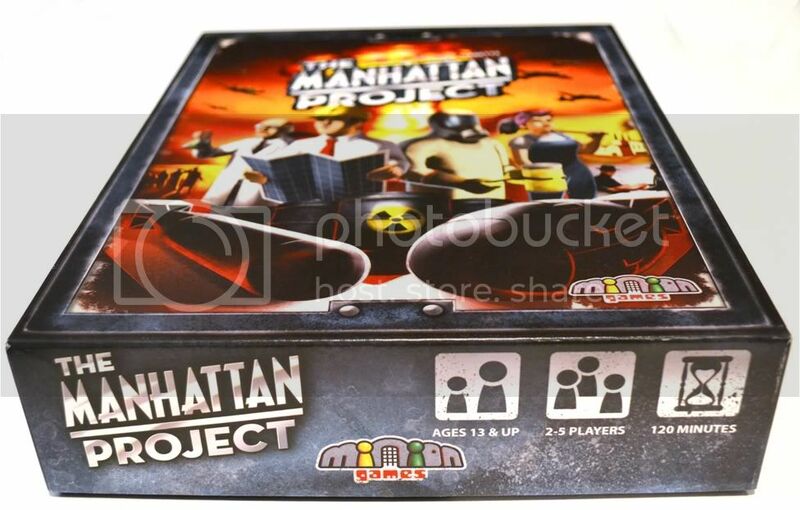 Okay, first of all, The Manhattan Project looks freaking amazing. The whole retro/50’s propaganda art design is both attractive and functional, and all of the component decisions seem to be really smart. In most worker-placement games, the “workers” themselves are some sort of wooden pawn, but here, the decision to use incredibly think (4mm) cardboard tokens identifying the 3 different types of workers was just brilliant. The use of half-size cards (which I usually abhor) was actually pretty appropriate here, and once again the art and iconography used on them and the central board is truly excellent. And the really cool thing is that looking at the game mechanically, I’m just as impressed. The whole place vs. retrieve workers decision is just brilliant. Giving players the choice of when to effectively “pass” and pull back their workers sets up all sorts of cool choices. I mean, most obviously, there is a desire to be as efficient as you can with your workers and to make as few retrieve turns as you can. But especially if you’re trying to be in a position to take advantage of someone else pulling off, you might just pull back early to make sure that you have the workers you’d need. The other side of that is, of course, trying not to set up the next player to get too much advantage from you pulling up. The hallmark player interaction in most worker-placement games is the ability to take a spot that someone else wants and effectively block it out for the round or whatever. The Manhattan Project certainly has that, but with its crazy perpetual-motion/indefinite rounds structure, there is a whole other level of timing and planning and anticipation/bluffing involved in how and when you use or pull back your workers. Fighters and Bombers and Spies, O My! Speaking of player interaction, the biggest way that The Manhattan Project turns the whole worker-placement/eurogame-engine-building convention on its head is the inclusion of two very direct and in-yer-face conflict mechanics. First is the Air Strike action, which lets you take out other players’ fighters and bombers as well as dealing damage to their buildings (thereby taking them out of commission until they’re repaired). Whether you make small, surgical strikes that are more about disrupting a player for a turn or two, or if multiple players all gang up on a leader to bomb him into the stone age, there is a huge range of options to use this to your advantage. In my games so far, however, I haven’t actually seen all that much widespread use of Air Strikes. Whether it’s just my group’s play style/preference, or if it’s more because we were all being careful to not open ourselves up to attack as well (which could easily happen if you use your fighters up on the offensive), it never seemed to be all that great an idea to go all gung-ho with a big military action. But both as a threat and as an option for limited use to delay/disrupt a leader’s engine, it’s a really entertaining mechanic to have available. Plus, the “cold war” atmosphere of having lots of unused armament around just adds to the theme! The Espionage action, however, is a whole different story. In my experience, planning around being able to jump into and take full advantage of this space (and often, the buildings of the person who just pulled up) is one of the most significant factors influencing the play of the game. If you can pull up when the other players only have a worker or two available, though, you can minimize the damage to you and ensure that the space will open up again (hopefully for you) sooner than later. There’s even some pretty cool shenanigans that you can pull off by using Contractors on another player’s board, which won’t get pulled off until they retrieve workers, even if you pull up before then. From a big-picture perspective, I could definitely see that some traditional eurogame enthusiasts might not like all the direct conflict options in The Manhattan Project. But if your group as a whole just isn’t into that sort of thing, there’s nothing forcing you to engage with those mechanics. Just like with my group, where the threat of the airstrike is used a lot more than the actual action itself, most groups will be able to play the game to their taste of interaction. Because even without the direct-conflict elements, the game is still very compelling just as a worker-placement and engine-building experience. The Manhattan Project is all about building nuclear bombs. There is literally no other way to score points other than building, testing, and loading bombs. Usually, my preference is for games that allow players to choose between a variety of different yet viable paths to achieve victory. But here, I don’t seem to really mind the limited focus of the game. Mostly, I think it’s because while you’re all sort of heading to the same end point, there still are some real choices about how exactly you’ll get there. 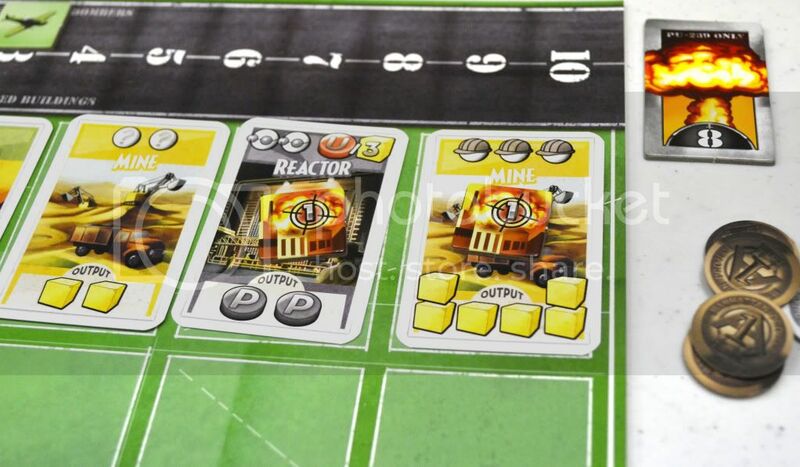 At its heart, The Manhattan Project is really an engine-building game. So in addition to all the tactical timing decisions you make from turn to turn, there’s also a lot of strategic choices related to which buildings you’ll construct, which of the two secondary resources (Enriched Uranium or Plutonium) you’ll focus on, how much you’ll engage with the Espionage/military elements, and how you then put all these elements together to make the whole thing hum. Okay, so The Manhattan Project is about placing workers and building a bomb-making engine. What happens in play, though, is that this sort of drives the game to have two pretty distinct phases. 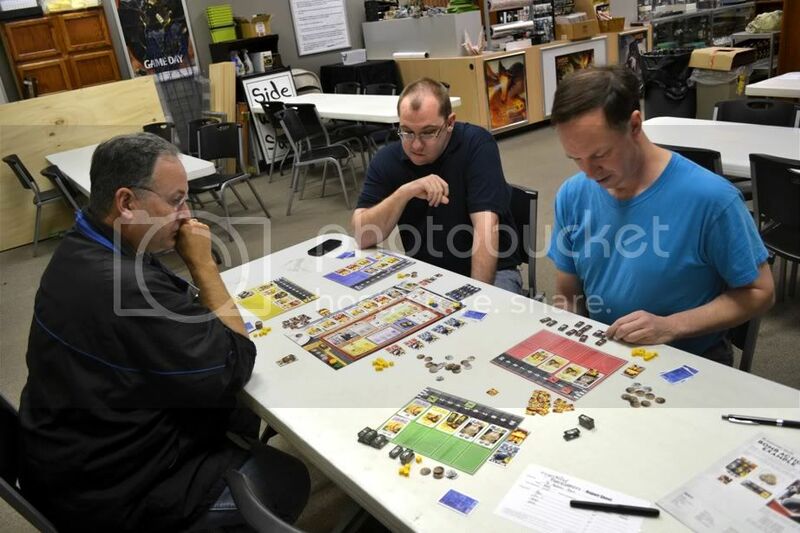 In the first “half” of the game, it looks a lot like most other worker-placement games, where the main focus is on choosing which space to use on the main board and most interaction is related to blocking out spots that other people need or finding the quickest way to build up your workforce. Players usually try to delay taking a Retrieve Workers turn as much as they can, doing so only every 5 or 6 turns. Later in the game, however, once players have constructed most of the buildings they need to run their engine, you want to get in as many cycles of running it as you can. To maximize the effect, you then get into a pattern of Placing and Retrieving workers every other turn or so. At this point, interaction becomes more about finding ways to disrupt the engine of the player (or players) who seems to be doing the best. So obviously, the direct-conflict elements (Air Strikes and Espionage) really come into their own in this phase. I’ve actually put a decent amount of thought and analysis into whether this phase shift facet of the game is a good thing or not, because I could see how it could feel a little disjointed or bait-and-switch-ey to some. In the end, though, I’ve really come to like how it adds more of a dramatic arc to the game that sort of mirrors real life. It’s also very similar to games like Puerto Rico or Acquire where you have to shift gears at one point in the game, and doing well often comes down to gaugeing when is the right time to make the transition. 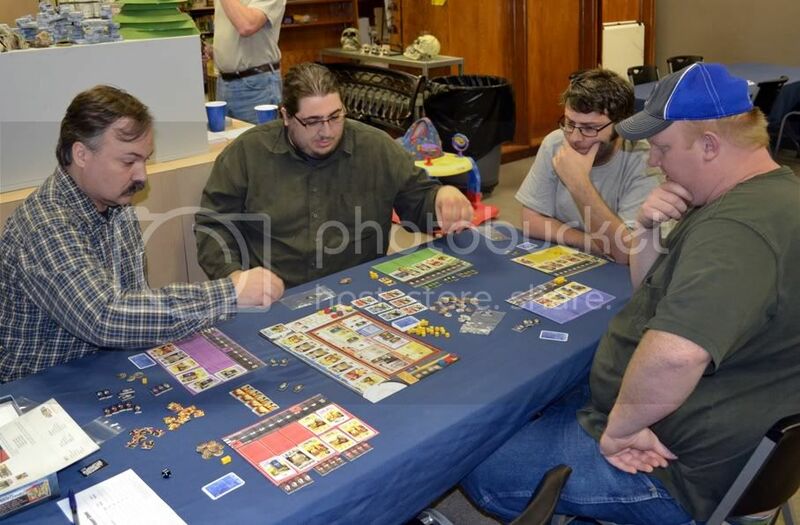 One complaint I’ve heard about The Manhattan Project is that it’s very prone to analysis paralysis, which can lead to loads of downtime and very lengthy games. I’ve personally never experienced this, however, and I actually think that the structure of the game discourages it to some point. 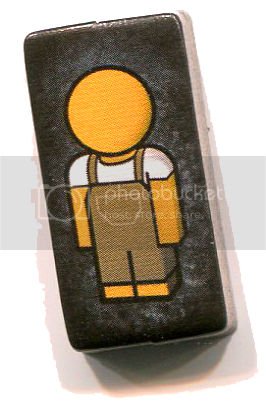 Early on, turns are very short because you basically only have one or two things to do (placing a worker on the board and maybe a building on your personal board). There can certainly be thought put into this, but you also have time to think about your next potential moves while play moves around the table. The bigger issue I’ve heard is that the game can really slow down later on once players have constructed lots of buildings and have lots more options. But to me, if you’re doing it right and purchased buildings strategically to build some sort of cohesive engine, placing your workers near the end of the game should be pretty much automatic. You have more options, but you should already know how you planned to use those options from the get-go. People who overanalyze things will certainly have lots of fuel to fire their analysis paralysis with The Manhattan Project. But once they have a play or two under their belt, people investing a reasonable measure of thought into their moves shouldn’t really have any real issue. In fact, this leads me to my only real complaint with the game as published: it’s just too darn short with 4 or 5 players! As I mentioned above, the target number of points scales with the number of players. At 50 or less points (again, 4 or 5 players), this basically amounts to building just two bombs. And since you usually manage to accumulate enough materials to build one smaller bomb in the first phase of the game, you then only have the chance to run your engine a couple of revolutions before someone builds their second one and the game is over. Plus, since the direct-conflict elements don’t really become as important until the second phase of the game, you often just don’t have the time to use them effectively either. Obviously, the designer/developer’s decision to scale the points was mostly a matter of keeping play time under control. But in my group anyway, we’ve pretty consistently played The Mahattan Project in 90 minutes or less (actual average is 84 minutes). I’m also aware that we’re a pretty fast-playing group in general, so other groups may have notably longer plays. But as far as I’m concerned, my intention from here on is that I will play to at least 60 points regardless of the number of players, since that seems to be the threshold where you have to at least get that third bomb into play. I guess it’s rather obvious, but I think that The Manhattan Project is a pretty incredible game. In addition to looking great and bringing some real innovation to the worker-placement genre, it is one of the absolute best euro/American-style hybrids that I’ve ever seen. So far, it’s definitely one of my favorite games of 2012, and I really hope to play it a lot more in the future. • Rules: There are some complex elements, but I’ve found it incredibly easy to teach and get people into. • Downtime: Very little early on, but it can get a little longer later in the game when players have more buildings. I agree with you about 2 bombs seeming like it’s over too quickly. Previous Post: Dice Tower Award Nominees!